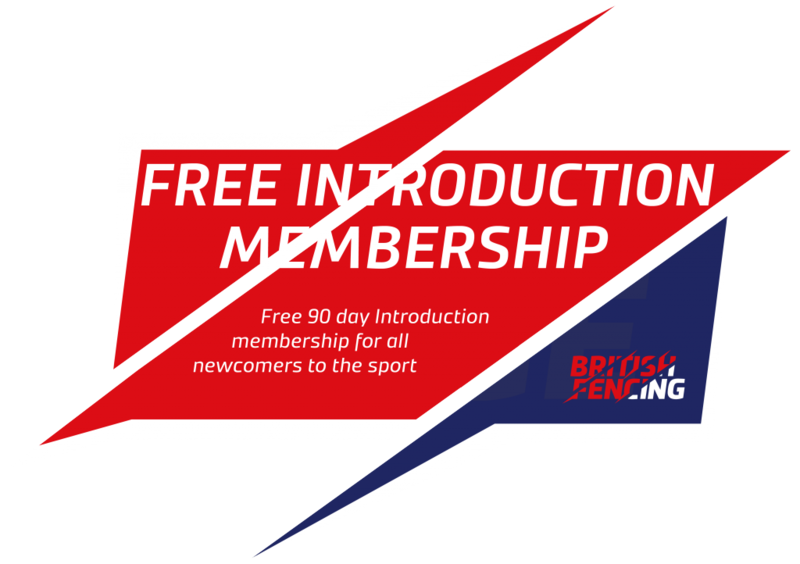 British Fencing, England Fencing, and all the Home Nations are delighted to announce a brand new, free, membership type to support clubs with attracting, retaining and registering new participants to the sport. We recognise the great work clubs do to welcome new people and we want to provide a mechanism for affiliated clubs to deliver an additional benefit to new people participating in beginner courses! It is called ‘Introduction’ (to fencing) and is targeted at brand new people starting, or who have recently started beginner courses, at BF registered fencing clubs across the UK. a) It is 100% free. b) It is 90 days in duration. c) It is for new people starting the sport. d) Members must affiliate with the club they are attending. e) New participants of beginner courses must have a valid Introduction membership to be covered by insurance for the full 90 days. Please note: this is a change to the previous policy, please see the insurance overview document here. f) Members will receive an online copy of The Sword and are able to subscribe to all of British Fencing’s communications such as The Club Digest. g) Members can upgrade to Starter, Recreational or Compete membership at any time during the 90 days. h) To enter competitions, members must upgrade to the Compete membership category. i) Towards the end of the 90 days, members will receive an email letting them know that their 90 days of free membership is ending. The email will also explain the membership options that are available. j) A full list of membership benefits can be found here. If you have any questions please see our FAQs! (05.12.18). For any questions not covered in the FAQs please email headoffice@britishfencing.com. There is an A5 flyer available to include in your club welcome pack, that can be handed out during club sessions or emailed directly to new members. Click here to download it today. To activate this new membership, please watch the short video below or read this step by step How to Guide and then go to the Membership Platform. Membership Terms and Conditions have been updated, please see here. For fencers registered on club beginner courses to be covered by the British Fencing insurance policy, they must be a member of British Fencing. To view all available memberships please click here.